Every few months, when health media pundits issue one of their “print is dead” declarations, the channel’s boosters respond the way they always have. They sigh, acknowledge the continued rise of digital, and point to recent data showing the channel holding its own in many places and thriving in others. If they ever want to weaponize their counterarguments, they should simply direct critics to lifelong pharma print exec John Kenyon, who oversees point-of-care print at Meredith and serves as publisher of POC-exclusive titles Time Health (Meredith continues to handle sales-related activities for Time Health after selling Time to Salesforce magnate Marc Benioff and his wife Lynne last September), People Health, and Health Reports. Kenyon is vocal in his belief that the broader health-media community needs to push back against the “profound negativity” about print and DTC — which, he adds almost casually, “nauseates” him. Kenyon is also a believer in the power of print, but he’s no blind zealot. He refers often to Catalina studies that affirm the staying power of the genre — and, not coincidentally, Meredith’s dominant position in the consumer realm. Meredith reports over 265 million followers on social, 120 million print readers, and a paid circulation of 45 million readers. Mostly he wonders if the marketing momentum toward all things digital has left the print and POC channels underutilized. “Imagine a niche drug with a total potential patient population of 500,000 that’s not doing any POC. How can a brand such as that ignore it, when there are only 2,000 doctors who write scripts for that drug?” Kenyon asks, noting he encountered that situation a few weeks earlier. Time editor-in-chief and CEO Edward Felsenthal, with whom Kenyon worked closely on the Time Health launch, adds that Kenyon’s enthusiasm is couched in deep knowledge of the space and a keen eye for media trends. That sense led Kenyon to write the initial business plan for Time Health in 2005 and, in his words, “not let it go” until its late-2017 debut. “John was one of the first to recognize there is a crisis of trust in targeted health media,” Felsenthal says. The three Meredith POC publications align with that thinking. 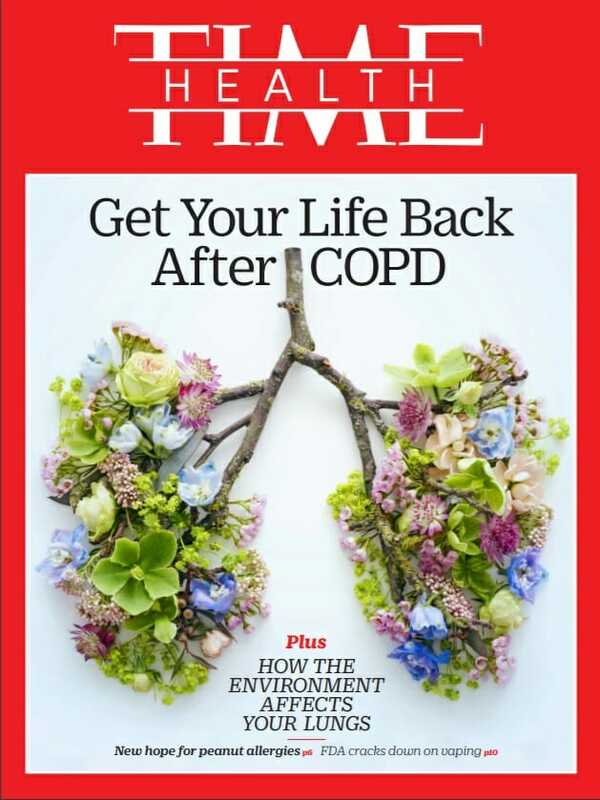 Each issue focuses on a specific condition — recent cover topics have included COPD and asthma — and is delivered exclusively to physician offices that treat the condition on a frequent basis. As for the POC space itself, Meredith suffered collateral damage when Outcome Health’s fraud was exposed in late 2017: Pfizer, one of the publisher’s largest clients, pulled out of the space altogether. To that end, expect his team and Meredith’s POC unit to expand their mission in the months ahead. The Better Homes and Gardens brand would likely lead any such charge.